LAKEVIEW — At least one thing is clear about the Wrigley Field renovation negotiations: A full package deal with the city and the neighborhood will not be coming by the Cubs-imposed Monday deadline. But the team says it does not need the full agreement by April 1 to move forward with stadium renovation plans, such as rehabbing the clubhouse after the season. But that doesn't mean the Cubs will necessarily move forward without having an agreement in place. The Cubs still want answers by the beginning of the month on whether they will receive more flexibility and noted a need to resolve "key items," team spokesman Julian Green said in an email. Mayor Rahm Emanuel, Ald. Tom Tunney (44th) and the team previously emphasized a need for a "comprehensive" package covering night games, concerts, gameday closing of Sheffield Ave. to create a street festival, and signage. The Cubs still wants answers by the beginning of the month on whether they will receive more flexibility and noted a need to resolve "key items," team spokesman Julian Green said in an email. "In the next few days, we hope we can bring a resolution to key items raised by the family," he said. Green refused to identify what those "key items" are. The team has been having conversations "every day around a table at City Hall at the request of the mayor's office," he said. 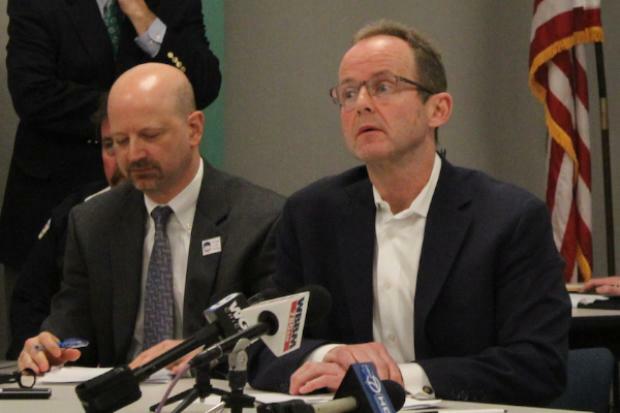 Tunney, the Cubs and city officials are involved in discussions, Tunney's staff confirmed. One sticking point may be the size of a new Jumbotron in left field, a 6,000-square-foot screen the Cubs reportedly want, though it could block rooftop views. "The Cubs would like to see a huge monster thing," a source told DNAinfo.com Chicago. "They can't do something that's unrealistic." The team wants to start their renovation plans after the season ends this year. Emanuel said at an unrelated news conference Thursday that he was confident that "there's enough wins for everybody to declare a victory and have enough to go forward." One barrier to a full package deal: Tunney and the neighborhood are hesitant to change existing ordinances without a firm plan from the Cubs for remote parking, security and traffic. And the latest plans discussed at a closed-door meeting did not seal the deal. Wednesday's Community Directed Development Council, a gathering of the alderman and community leaders, ended without those details — all things Tunney says the community needs to hear before he will agree to an ordinance to allow more Friday 3:05 p.m. games, night games and landmark changes. "We cannot rush into this agreement without a plan and community process as this development will have an impact on the Lakeview community for years to come," Tunney said in an email to constituents. Lake View Citizens' Council president Will DeMille said he feels more comfortable about potential changes after what he termed the Cubs first serious engagement about potential solutions to traffic and parking problems on Wednesday. "That's what we've been clamoring for," he said. Ideas include staggering police forces to focus on post-game security, ways to collaborate with more existing remote parking lots, and incentivizing people to park in remote parking, such as making it free or developing express bus lanes, DeMille said. That the Cubs won't divulge some of those details until they know how they're making money doesn't bother him too much, he said. "I think the biggest obstacle for the Cubs is to have a comfortable idea of revenue stream," he said. 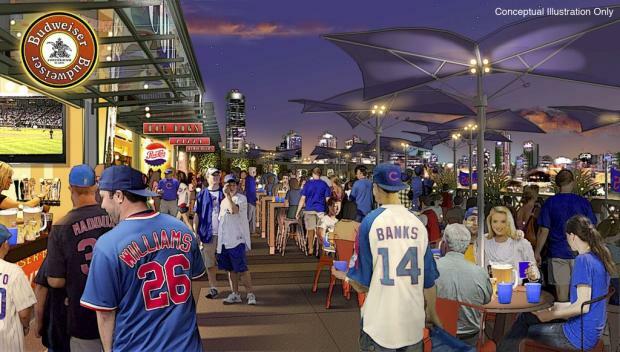 While DeMille expressed optimism, many neighborhood groups — pro-Cubs group Wrigleyville Neighbors not included — still fear that concessions on night games, 3:05 p.m. games and the Sheffield project will happen without the community's input. They say they are counting on Tunney not backing down in closed-door negotiations from his public promises. With an eye on adding revenue, the Cubs asked for more flexibility after deciding to not ask for public funding to help pay for the $300 million renovation of the stadium. Desired changes to the neighborhood protection plan include more night games, more concerts and the street festival on Sheffield. The team also hoped for changes to the landmark ordinance that would allow them to put up more signs inside the stadium — a worry for surrounding rooftop owners who don't want their views blocked. But whatever conversations are being had in City Hall, the rooftops are not at the table, Beth Murphy of Murphy's Bleachers said this week. She maintained that conversations about signage could end with the plan rooftop owners have for putting signs on the rooftop buildings. The Cubs dismissed that idea, saying rooftop signage would not generate nearly as much revenue as signs within the field. "I don’t think there should be a stalemate," she said. "I think we have a solution that puts everybody in business."